Angered by the requirement, Riley seeks a means of bypassing his father's stipulation. 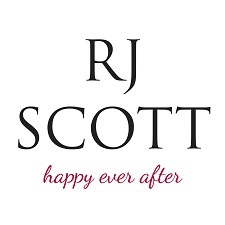 Blackmailing Jack Campbell into marrying him "for love" suits Riley's purpose. There is no mention in his father's documents that the marriage had to be with a woman and Jack Campbell is the son of Riley Senior's arch rival. Win win. WOW! I have had this book on my Kindle for a while, and foolishly not opened it before today... let's say not much else has been done!! It is absolutely enthralling, with a tight plot, lots of twists, and one of the loveliest, most unexpected love stories I have read in a long time. The blurb gives you the gist of the story, so I will not say more about that. What I would like to comment on is the sharpness of the writing, the tension that spreads throughout, the passion that builds between these two men, and the humanity which is tested repeatedly. I loved the family dynamics, there is redemption for some, revelations for others; and most excitingly, plenty of other people who need their story to be told. I am so excited that the rest of the series is sitting on my Kindle and can assure you I will not be waiting long before dipping back in... I just need to get some sleep first! Riley is the middle child in a family riddled with secrets and backstabbing. Without giving too much away, Riley is able to gain the upper hand on his older brother and father through a loophole, all while his father was trying to stick it to Riley. Jack is kind of the man of his family. He is wanting to protect his sister and mother with everything he is. While his family has a past with Riley's family, Jack can't help but be intrigued with Riley calling out of the blue. The two of these men have to wind their way through past family drama, current family drama, and their own new feelings. Riley and Jack make for a strange couple. They say that opposites attract, and in this story, they do. I really enjoyed watching their story unfold. I can't wait to read more about this couple and their family. 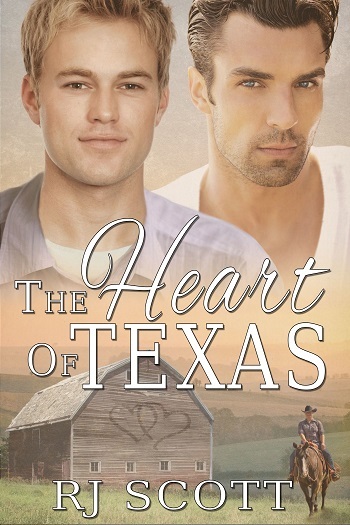 Reviewers on the Wicked Reads Review Team were provided a free copy of The Heart of Texas (Texas #1) by RJ Scott to read and review.